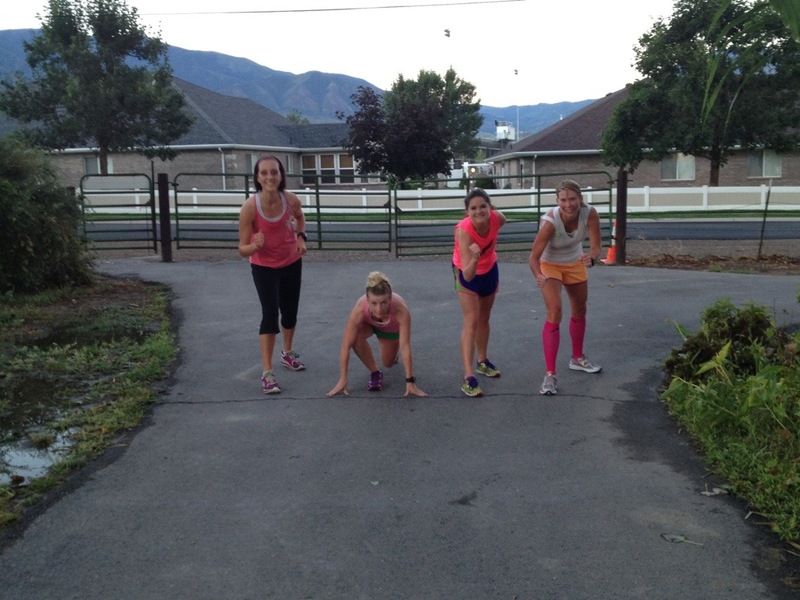 Mac, Aubrey, Amber, Rachelle and I started off with a warm up (I ran a min 15 warm up). Then we began our 6×1200 repeats. (1200’s are 3/4 of a mile; 3 laps around the track and we ran 6 of those.) We ran on a trail that loops around. It is 3/4 of a mile around, so it is perfect to do this workout on it. They are getting ready to start their 1200’s! My 1st one was a 4:14, 2nd was a 4:11, 3rd was a 4:05, 4th was a 4:07, 5th was a 4:11, and 6th was a 3:56. I was tired! 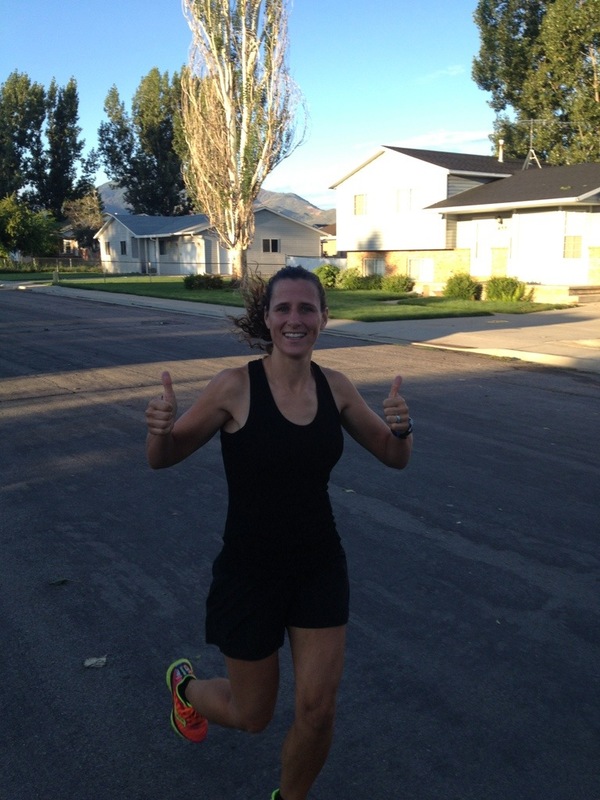 We then ran a 20 min cool down run. I feel better now that that work out is done! Thanks ladies for doing these with me and pushing me! Thanks Scott! They were tough. To tell you the truth, I wish I would have ran them more consistent (the 1st 5). My times were everywhere! I would have liked to have ran 4:10’s all the way through (I was happy with my last time). But that is why it is easier for me to coach. 🙂 I know what to do, but me actually running them is a whole different story. Sorry if this doesn’t make sense. 🙂 Thanks though. You 2 are so motivating to me!!! I love reading your blog Jen! Keep writing! That sounds like a great workout….y’all are fast! Thanks so much! You should come out and join us!!! To tell you the truth, I don’t know if I would have ran all 6 if the other ladies didn’t show. It helps having people around.